Your flight gets in late and you don't want to bother the people you're coming to visit. So how do you get to your final destination? Lucky for you, transportation services are there to help. You take getting from here to there seriously, though, so you don't want to hop in the car with just anyone. So how do you know which transportation services you can trust? All it takes is a bit of research. To help you get started, we've compiled a list of tips for choosing the right service. Here are seven things to keep in mind. First things first, you need to narrow your search to services that run in the area where you'll be. There's no point in booking a taxi in Des Moines if you're flying into Denver. Some companies operate in several areas, so check websites or other places with company information. Before booking, make sure the service comes to the airport where you'll be arriving, and that they go to the neighborhood or city you need to get to. Let's face it: some vehicles are more comfortable than others. It's worth your time to investigate if a service uses comfortable vehicles or not. This is especially important if you're in for a bit of a drive. Research what types of vehicles the service uses. If you aren't familiar with them, take a quick look at the makeup of those vehicles. If they're known for being not so comfortable, you may want to go with something else. If a transportation service uses vehicles that aren't comfortable, that suggests they aren't as focused on their customers as they should be. Always look at what each transportation service charges. The last thing you want is a surprisingly large bill you aren't prepared to pay. Make sure their rates are reasonable. If you aren't familiar with transportation rates, take some time to find out what a reasonable price would be. Then use that information to find a service you're happy with. Don't be afraid to ask each company about discounts. For example, they may offer you a deal if you book your arrival and return trips at once. You should always make sure your transportation service has a good reputation. You can find this out by reading customer reviews. Never go by a website alone. All companies will advertise their services as the best. Reviews, on the other hand, provide you with actual experiences and thoughts from people who have used the service. Whether the service did a great job or not, you'll know from reading reviews. While reading reviews, make sure you look for comments regarding the things that are important to you. You'll likely find the answers to your questions and maybe pick up some other helpful tidbits along the way. A transportation service should be just what it says it is - a service. That means you should expect to be treated well. Great customer service is one sign of a transportation company that takes their job seriously. Expect a friendly welcome and greeting, polite conversation, and respectful treatment when you talk to your driver. Your privacy should be honored, and they should make sure you're comfortable. It's not too much to expect your driver to take your bags and load them for you either. Find out about a service's customer service by reading reviews and contacting the company. Make sure your service of choice has vehicles that will meet your needs. Whether you need a van, compact car, or limousine, they should have what you need. Every vehicle should be in good condition. A service running run down vehicles isn't putting enough thought into taking care of their customers. Service vehicles should be equipped with every comfort you'd expect in a well-running vehicle. This includes air conditioning, heating, a GPS system, seating controls, and working windows. If you'd like a privacy screen between you and the driver, find a service that offers that feature. There are plenty of services to choose from, so you don't have to settle for less. Make sure you take the size of your party into consideration when choosing a transportation service. Some may only offer standard-sized taxis. That won't provide enough room if you have a group of six people. If you have a large group, hire a transportation service that provides vans or other large vehicles. Otherwise, you'll need to pay for multiple drivers. Don't forget to keep luggage space in mind. You may have a lot of luggage even when you're traveling on your own. There should be ample room for everything you've brought with you, whether you're moving to a new state or you've come for a quick overnighter. Great transportation services will do all they can to help you have a great experience. So don't be afraid to contact companies to make sure you'll get what you want. 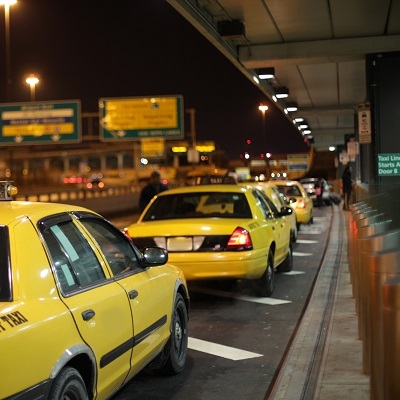 Getting from the airport to your final destination or from a hotel to the airport can be a hassle, no matter the time of day or night. Kick that worry and hassle to the curb by hiring a transportation service. They'll get you where you need to go. We'll make sure you reach your destination safely and on time. Submit a ride request, and you'll be ready to go!